Two weeks ago James went down to the basement to grab something and said "Hey, there's a lot of water on the floor down there." 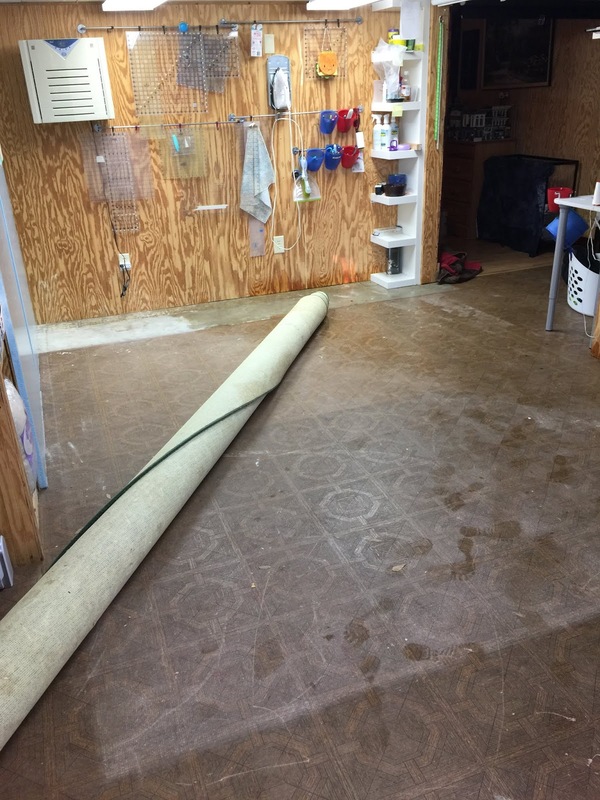 Basement + Water + Floor = BAD! Especially bad because we have three fish tanks in the basement. One of them is 180 gallons. Turns out it was one of the smaller fish tanks (not the 180 gallon, whew!) It cracked and leaked around 5 gallons of water on the floor overnight. Instantly we went into cleanup mode, and unfortunately most of the water had leaked into my kitchen studio. I know it seems odd, but this week between Christmas and New Years is favorite time of the year. It feels like an extra bonus week and I always use this time to finish up old projects so I start the new year with a clean slate. This year I decided to ramp up my finishing efforts by also adding a massive full craft reorganization to the mix. I pulled out every craft box and bin, every drawer filled with ribbon and floss, every bead box and fat quarter and reorganized the entire lot at once.